The folks at Pantone are on to something, selecting Greenery: the fresh and vibrant yellow-based color as a hue to emulate in 2017. Channeling green tones found in nature, Pantone describes the 2017 Color of the Year as a lively shade “that evokes the first days of spring when nature’s greens revive, restore, and renew.” Greenery offers an energetic alternative to a neutral palette while remaining grounded as an earth-inspired basic. After a year of muted palettes and neutral color combinations (don’t get us wrong, we loved the blush-inspired 2016 Color of the Year Rose Quartz), Greenery offers a color statement that’s refreshing and bold. 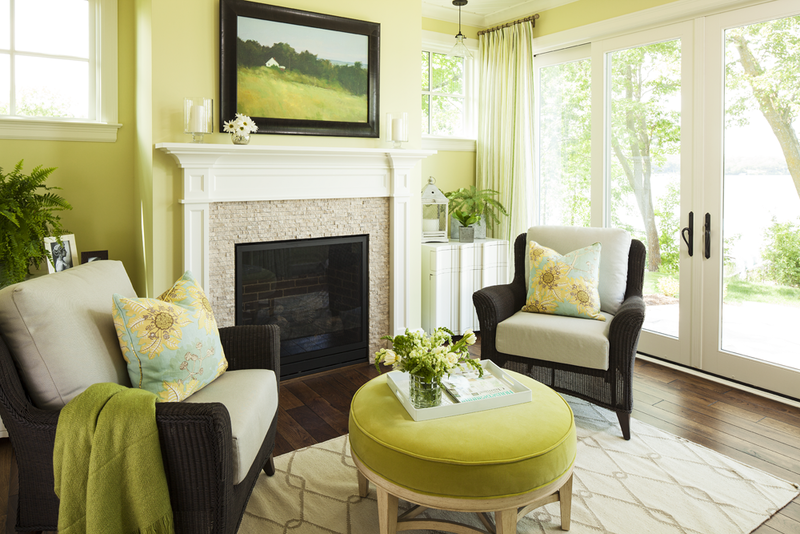 You can use Greenery in pillows and accessories, or “you can anchor the room with a rug that has just enough Greenery-coloring for it to stand out by itself,” explains Bhavana. Contributed by Martha O’Hara Interiors, a Minneapolis, Minnesota and Austin, Texas- based interior design firm that specializes in connecting life and style from coast to coast.